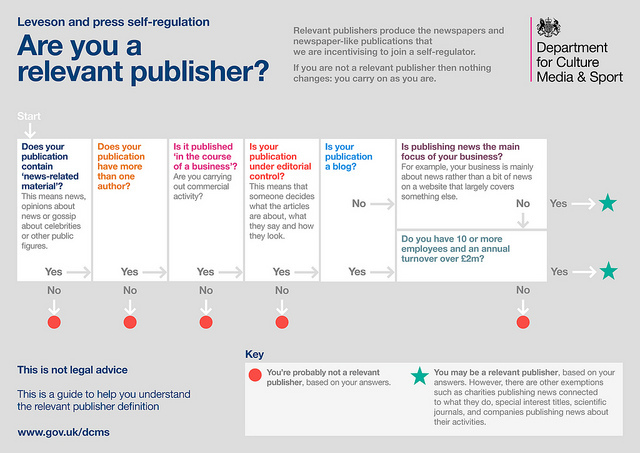 All this week I am going to be publishing examples of legal dilemmas that a journalism student might face (Read my previous post on students being publishers, and the responsibilities that come with that for the background). I’ll be using the hashtag #ojblaw throughout and live tweeting a discussion on Friday 10-12 UK time. I hope you can comment on what a student publisher might do – and why. It is 4am and you are sat with a friend in a fast food chain outlet. This is a well known, global brand – you can choose either McDonalds or Burger King, because these things matter. She knows because she can see the timestamps on the food packaging behind the counter. The next day you prepare to write up a news article about this. You find some useful background: the company has published its own policy on how long food should be kept out, for example. You also have the Food Standards Agency report for the outlet (it was satisfactory). Your headline reports just what your friend said: that the particular outlet was serving food that was hours old, and breaking its own guidelines in the process. You have a quote from your friend, who is named, and her position as an employee of the fast food chain is mentioned. She is fine with this. You seek a reaction from both the outlet and the fast food chain’s central office. Both refuse to comment, and you have included that in your article. This entry was posted in law and tagged case study, defamation, libel on November 18, 2013 by Paul Bradshaw. When is an online comment defamatory? Rob Minto looks at two recent cases that leave the field of libel online as confusing as ever. For several years, newspapers, bloggers and other online publishers have been waiting for a landmark case to clarify defamation online. This entry was posted in regulation, twitter and tagged colin elsbury, comments, daily mail, defamation, eddie talbot, jane clift, justice sharp, libel, twitter on March 14, 2011 by Paul Bradshaw.